In today’s world, more than 2 billion people are overweight or obese — but the most commonly used test for obesity has some significant shortcomings. A visual representation of the BMI. To say that obesity is a big problem would be a severe understatement. Recent figures are alarming, especially in the US, where approximately every 1 in 3 adults is obese, which brings major health risks. However, obesity can be a surprisingly hard thing to define. We all have a general idea of what it means (being severely overweight), but where do you draw the line exactly? The most used metric is the so-called BMI — the Body Mass Index. BMI is a simple measure that uses weight and height. Essentially, it’s your body mass divided by the square of the body height and is universally expressed in the metric system (sorry) in kg/m2. There are countless BMI calculators you can use to find out your index, and it works like this: if your BMI is over 30, you’re obese. But there are many factors the simple BMI fails to consider. For instance, muscle weighs much more than fat over a similar volume, so for a muscular and even slightly overweight person, BMI could rank them as obese — which is just not true. Conversely, your BMI might be lower due to a lack of muscle, which is not something ideal. So researchers want to come up with a better way to measure obesity. In a new study, a team of researchers looked at people’s genomes and metabolomes (sets of small-molecule chemicals found within a cell) to see how they relate to the BMI, and how they can offer better information. The metabolome is essentially the sum of all the small-molecule chemicals found in a biological sample, including fatty acids, amino acids, sugars, and vitamins, to name a few. The metabolome reacts and changes whenever there are environmental or genetic changes and, in a way, it can be seen as an expression of the BMI. If the metabolome would simply express the BMI, then we wouldn’t have anything new, as we’ve already established that BMI has some important shortcomings. Instead, the metabolome shows some differences, particularly in people where the BMI could fail. So what researchers have is basically a new way to define who’s metabolically healthy and who’s obese. 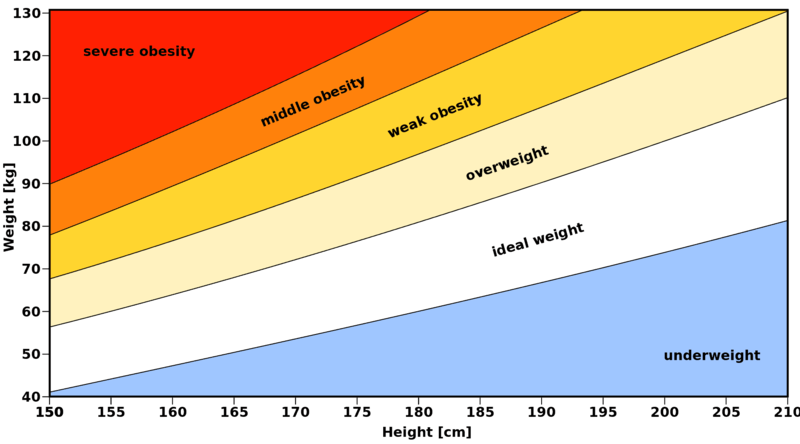 “There have been studies before of individuals whose BMI doesn’t match their metabolic health, but this is a new way of defining who is metabolically healthy,” says first author Liz Cirulli (@ETCirulli), a research scientist at Human Longevity Inc. “All across the weight spectrum, we found people who were heavier or lighter than expected based on their metabolome.” These differences were also found in a range of metabolites linked to various diseases. The idea of studying human metabolome is not new — the Human Metabolome Database is a freely available, open-access database containing detailed data on more than 40,000 metabolites that have already been identified or are likely to be found in the human body. However, using it as a substitute for BMI is an intriguing idea, which could one day enable scientists to develop better obesity diagnoses. However, this is still in the early phases, and much more research is needed before they can be validated and established for clinical use. Cirulli calls for more research, particularly on metabolic signatures for other traits, including blood pressure and measures of body fat. It will definitely take a while, but we may eventually have a comprehensive analysis of all the metabolites in their body with a simple blood test.